The WP series of waterproof connectors from Weipu are ruggedly built with bayonet couplings and sealed to IP44 or IP55 depending on model. 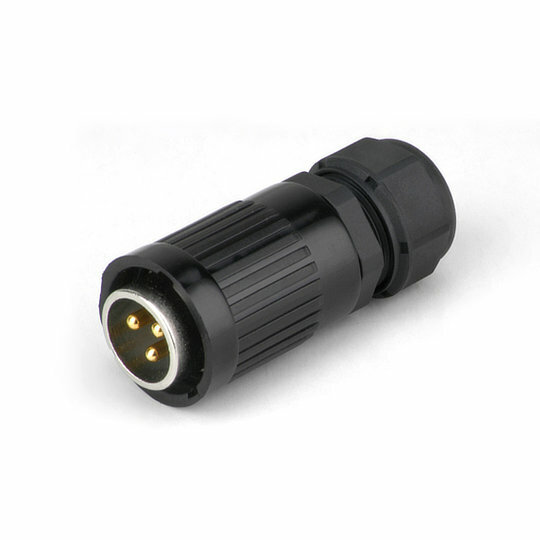 Designed for cable to panel mount connections, with a choice of either end been a male or female connection and a hinged cap on the panel mount connector. The WP series of waterproof connectors from Weipu are ruggedly built with bayonet couplings and sealed to IP44 or IP55 depending on model. Designed for cable to panel mount connections, with a choice of either end been a male or female connection and a hinged cap on the panel mount connector. Available for panel cut-outs of 21mm with a choice of between 2 pin and 12 pin gold plated contacts and solder, crimp or screw style terminations. Perfect for power or data applications including Outdoor Lighting, LED Screens, Outdoor Security Cameras, Solar Energy, Medical Devices, Marine Equipment, Industrial Control Systems.